We can also assist you with your aftermarket accessory needs! The Ranch Hand logo has been recognized since 1986 as the symbol of quality. We have paved the way in the heavy-duty truck accessory market by setting our standards high in design, manufacturing and quality of our products. 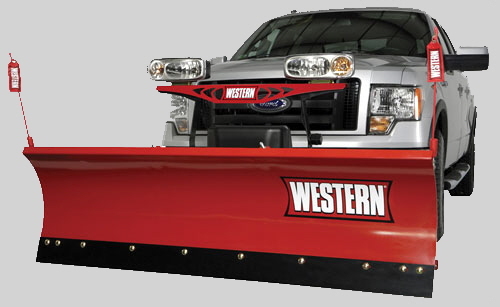 For 60 years WESTERN® has been leading the plow industry by providing top-quality snowplows and ice control equipment. For six decades the WESTERN brand has been the first choice for snow plow professionals with revolutionary technology, expertise in the plowing industry and state of the art manufacturing capabilities. Today Kenwood USA has taken a leading role in developing market-driven products and continues to operate as one of the largest manufacturers of personal entertainment and communications equipment in the world. A product that is so well designed, and built to such demanding exact standards, that it performs beyond the truck owner's highest expectations. Engineering is at the heart of why Extang is the number one selling tonneau brand in North America. As audio continues to evolve, KICKER will continue to be on the industry's cutting edge, pushing the limits of audio design technology, performance and integration in the quest for ultimate sound. The element that has not changed in nearly 70 years is the passion for audio and video products that we hope to share with the world. From the employees at our research labs looking for the "next big thing" to the engineers at our factories focused on quality assurance to our product trainers explaining the new technology to our customers - we remain passionate about creating an unbeatable entertainment experience.